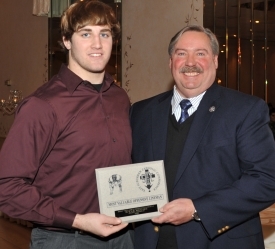 ESCC Player of the Year Josh Ferguson with Joliet Catholic Coach Dan Sharp. 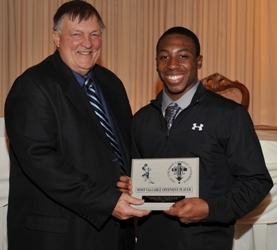 Marian coach Dave Mattio with ESCC Offensive Player of the Year Jeruel Taylor. 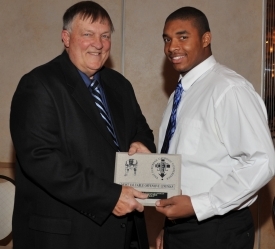 Joliet Catholic coach Dan Sharp with Offensive Lineman of the Year Kyle Rouse. Carmel Catholic coach Andy Bitto with ESCC Defensive Player of the Year Luke Venegoni. 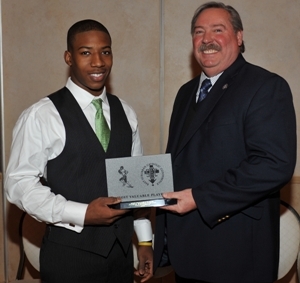 Marian Catholic coach Dave Mattio with Defensive Lineman of the Year Michael Toliver.